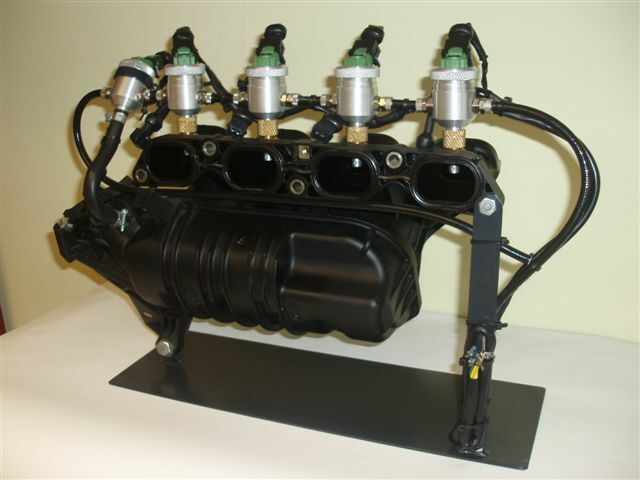 The "Sequential Injection" system is the last generation of LPG and CNG conversion systems. It is the most effective system that ensures the best results in terms of driving conditions and performance. Of the three fuels, LPG has been shown to be much more environmentally friendly through recent independent tests.LPG emits similar Carbon Dioxide to diesel and considerably less than petrol. LPG is also much cleaner than diesel in terms of other chemicals such as Nitrogen Oxide ( NOx) and fine particulates which impact on our local air quality. 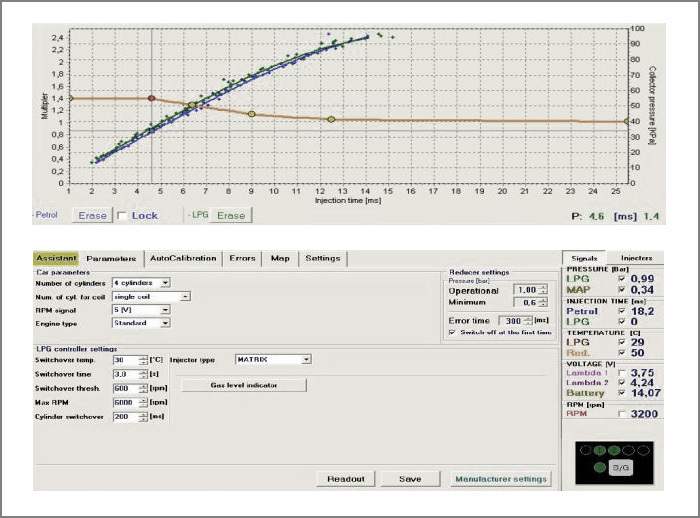 The enriching strategies and consumption and emissions optimisation strategies generatedby the Gasoline CPU which are indeed unaltered in each cylinder. This system is compatiblewith the original OBD ( On Board Diagnosis) system of the vehicle. 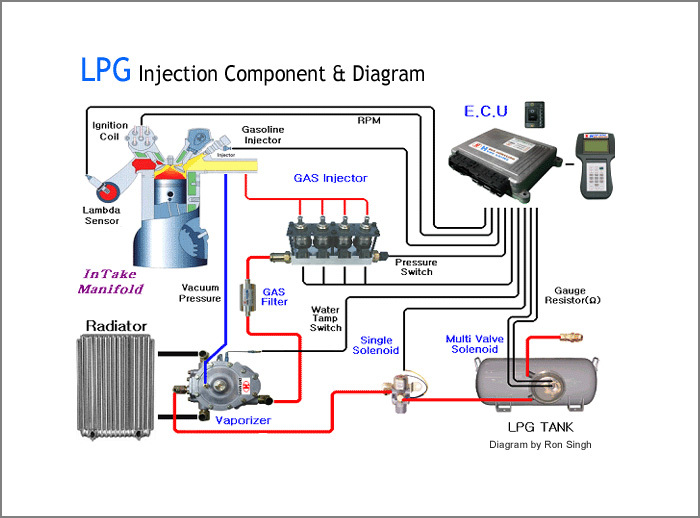 The Liquid-phase LPG in tank is changed to a Gaseous-phase LPG in Vaporizer(Reducer) for flowing to Injector. The depressed gaseous-phase LPG in Vaporizer ( Reducer) is than flowed to each cylinder-block by Injector. 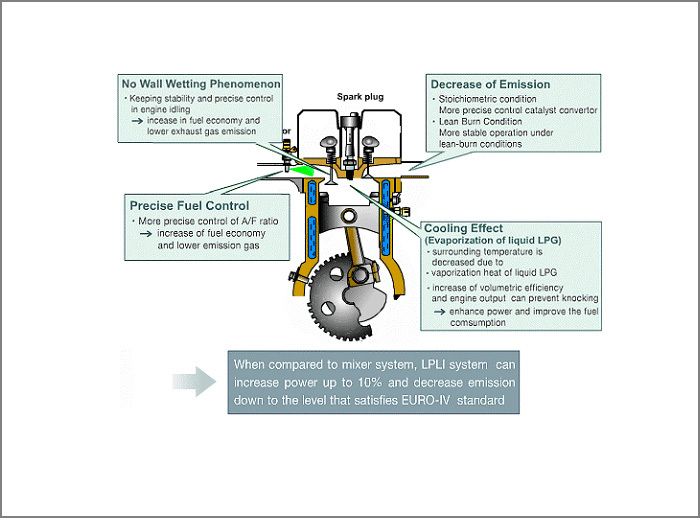 The engine-efficiency is 90~95% compared with Gasoline-engine. And Back-fire will never Happen.